The Health Promotion and System Strengthening Project (HPSS Project) as part of the Swiss Tropical and Public Health Institute (Swiss TPH) aim is to improve access to and utilization of health resources and services in Dodoma, Morogoro and Shinyanga regions for arriving at an effective and well-governed health system. To achieve the above aim, the project has four components: Health Promotion, Health Financing, Pharmaceutical and Health Product Management, and Health Technology Management. The project is expanding its workforces and is announcing the following position. The Communication Officer will be responsible to design and develop the Communication Strategies to improve the access to quality services. The incumbent will establish communication needs and demands of the project, regularly review existing materials for a maximum impact at the project level. Support HPSS visibility actions in workshops, symposiums, and exhibitions aiming at arriving at an effective and well-governed health system. 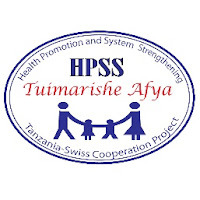 The Communication Officer shall be responsible and accountable for the development, regular update and implementation of the low of the Information to ensure attainment of the Project’s goals and objectives in line with the Swiss TPH/HPSS Project mandate and approaches. 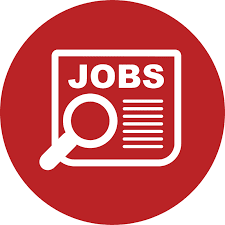 The Communication Officer is accountable for the management of the communication system and to provide strategic and technical guidance, s/he will work closely and interact with Chief Technical Services Officer, Chief Finance and Administration Officer and IT System Analyst based in Dodoma. Prepare communication actions and products that create public awareness. Monthly evaluation of effective media relations strategies. Prepare Project’s Advertisements are carried out efficiently and effectively. – Draft press releases, editorials and scripts for educational messages. Organ ze press conferences and media round table discussions. Write stories and feature articles in the newspapers that may enlighten the public on Project’s activities. Ensures regular maintenance and upload of current and up to date information to Project’s website. Ensure weekly bulletin and newspaper cuttings are well pinned to the notice boards at the headquarters and in the regions. Competent in Computer graphics and designing skills. The website, Intranet, social media updating. Ambitious and self-motivated with the capacity to deliver superbly under tight/pressure working schedules. Professional ability to take still and video pictures. Exhibits high standards of business and personal ethical conduct Works on improving own knowledge, skills and attitudes. Build and maintain good relationships with journalists, bloggers, stakeholders, and public that will help advance Project’s activities. At least three years’ experience in Print and or electronic media.